As we approach the FA’s 150 anniversary this weekend, Premier League’s most played fixture thats centre stage on Saturday. Where Everton travel to Villa Park. 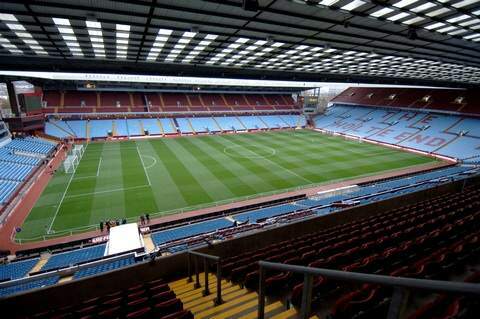 Aston Villa will be looking to return to winning ways following a defeat to Tottenham last weekend. While Everton will try to win their first away game in 12 attempts, their last away victory dates back to the 3-2 victory over West Ham. Aston Villa have endured a rather inconsistent season, they have beat the likes of Arsenal and Man. City so far this season, but have also failed to beat the likes of Newcastle and Hull. This fixture has historically produced a lot of goals, last season Everton won this fixture 3-1. That was Everton’s first victory at Villa Park for over 13 games. And we could see goals again this weekend, with both sides possessing a young Belgian striker. Lukaku and Benteke will come face-t0-face again, both forwards have already scored 4 goals this season and will aim to add to their goal tally this weekend. Christian Benteke is set to start for Aston Villa, he came on as a substitute in last weekends 2-0 loss to Tottenham. Clark has recovered from illness that kept him out of last weekends game. Marc Albrighton had a minor throat surgery this week so he may ntot feature. N’Zogbia, Gardner and Okore remain long-term absentee’s. John Heitinga has suffered soft tissue damage during training this week and is doubt. Alcaraz (hernia) and Darren Gibson (knee) are long-term injuries. Seven of the last nine league meetings have been drawn. The visit of Everton means Villa will have already played six of last season’s top seven sides in their first nine fixtures. Villa have only won 10 of their 42 league matches at home since the start of 2011-12, averaging a point per game in that time (W10, D12, L20). Paul Lambert has won more away league games (seven) as manager of Aston Villa than he has at Villa Park (six). Everton have not kept a clean sheet in any of their last 18 Barclays Premier League games against Aston Villa. Villa have won the most points from losing positions in the 2013-14 Premier League season so far (6). Fabian Delph has been the most fouled player in the Premier League so far this season (25). I reckon it’ll be a draw, I got it wrong last week and I wouldn’t be surprised if I got it wrong again. I reckon Aston Villa could win this game, if Lambert simply changed formation and took the out of form players out (I’m looking at you Westwood and Weimann). Still, I expect goals in this game and I hope that Villa can turn their home form around. Benteke’s return will definitely help Aston Villa. Wouldn’t we all love both of them? I do feel Lerner will take note, but then the Red Bull takeover is still going strong on facebook at least and supposedly would be willing to put a ton of money into the club. Just hope the first change is the Manager.